As always in Jersey, August promises to have something for everyone to do and to see. The sun is out, the sea warm(ish) and the opportunities to enjoy the outdoors endless. It is a great time to indulge in our delicious ice-cream, restaurants have their summer menus ready and alfresco dining can be enjoyed until late in the evening. For families it is time to head for the beach with buckets, spades, fishing nets and sun cream. Glorious! 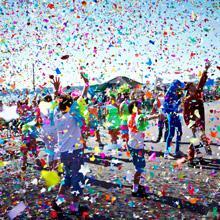 The highlight of the month will be the traditional and very popular Battle of Flowers, our local carnival, where all are welcome to join the giant street celebrations that take place during the day and the evening. Visit Havre des Pas sea swimming pool and pier on 4th August, and join in with the Seaside Festival celebrations. The roads around the pier are closed, with visitors and locals flocking to the festival to sample local food stalls, pubs, restaurants, beach activities, arts, crafts and music. The festival begins at 10.00am and continues throughout the day until 8.00pm. Entry is free. Not Rio or Venice, but Jersey’s very own version of a carnival; originally organised in 1902 as a one-off event to celebrate the coronation of King Edward VII. Over the years the Battle of Flowers has become one of the mainstays of the Jersey calendar. The “Battle”, as it is affectionately known here, is prepared months in advance by competitive parishioners who create elaborate floats decorated with flowers. The key ingredient is secrecy – all will be revealed on the day! Two parades will take place, during the daytime on Thursday 8th August and the much loved Moonlight Parade on Friday 9th starting at 9pm. Don’t miss it! Always associated with the Battle of Flowers, the funfair will provide all the thrills, the screams and the fun for whoever can stomach being twirled around, dropped from a height and scared by ghosts! Or maybe let the braver ones in your party explore the fair while you watch them from one of the Food Village stands below. This new initiative has been organised to let local restaurants showcase their international cuisine in a relaxed summer environment. Both the Funfair and the Food Village will be located on the waterfront in St Helier, between the lovely Jardins de la Mer (Sea Gardens) and the Radisson Blu Hotel which would be an ideal place to stay while visiting. 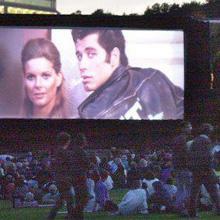 Bring a blanket and a picnic to Howard Davis Park on the outskirts of St. Helier, and enjoy watching films al fresco. Nightly showings will be announced close to the date, with free entry and a collection for a local charity. Films begin at 8:30pm, but arrive early to bag the best space; in 2012, 3,500 people descended on the park to watch The Lion King! A non-profit event run by the St. Helier – Funchal twinning committee, the Portuguese Food Festival brings the sights, sounds and, most importantly, tastes of Portugal to Jersey’s waterfront. Enjoy specialities such as Espetadas and seafood cataplanas whilst enjoying a glass of wine and the sunset across St. Aubin’s Bay. The festival opens at midday and runs until 11.00pm each evening. Entry is free. Jersey Museum is currently celebrating the 150th anniversary of the birth of Florence Boot, born Florence Rowe in Jersey in 1863. Her life is well worth an exhibition; as an active member of the Boots empire, she introduced new lines of products from lending libraries to picture framing services. Here in Jersey she is known for her involvement in the rebuilding of St Matthew’s Church with the addition of Rene Lalique artworks. Her benevolence was varied though, ranging from church restoration to being the benefactor for the island’s main sports fields. The Book, Beauty & Benevolence exhibition will tell you much more about her time on the island and her amazing legacy. Let your daily mood dictate your plans! Numerous attractions in Jersey can be visited thanks to The Jersey Pass. 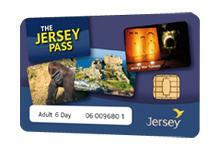 It works like a smart card and can be purchased online or at the Jersey Tourism Visitor Centre in St Helier. Once in possession of the Jersey Pass, you will be granted free entry to 17 of the main attractions and have access to a myriad of special offers and exclusive discounts. Designed with the visitor in mind, the Jersey Pass will help you explore the island’s many facets from historical sites to guided walks and local cruises to family fun days. Valid for 2, 4 or 6 days, the Jersey Pass represents excellent value and will guarantee a fuss-free experience whilst visiting Jersey. This entry was posted in Jersey Events and tagged Battle of Flowers, Jersey Food, Jersey Pass. Bookmark the permalink.